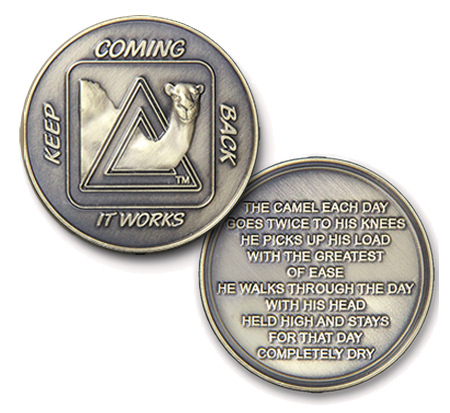 The Sober Camel Coins in this section have the Sober Camel Prayer on the back. 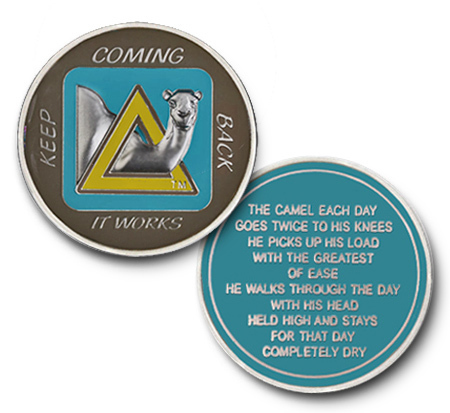 "The camel each day goes twice to his knees. He picks up his load with the greatest of ease. He walks through the day with his head held high and stays for that day, completely dry." The vibrant color medallions are hand painted then protected with a clear epoxy coating for added depth and superior protection. Our metal coins are finished with a durable lacquer topcoat that prevents scratches and helps maintain the original luster.